The secret of yuzu has been out for a while now – the Independent called it called it ‘superfood’ back in 2013 – though it remains tricky to get hold of fresh yuzu outside of Japan… until now. Yuzu is adored by chefs and foodies alike for its distinctive citrus sharpness that elevates a huge range of sweet and savoury dishes. Its flavour is somewhat reminiscent of a grapefruit crossed with a mandarin and with 3 times as much Vitamin C as is found in lemons it’s considered something of a superfood. Take a look out our sweet & savoury yuzu recipes at Japan Centre online. 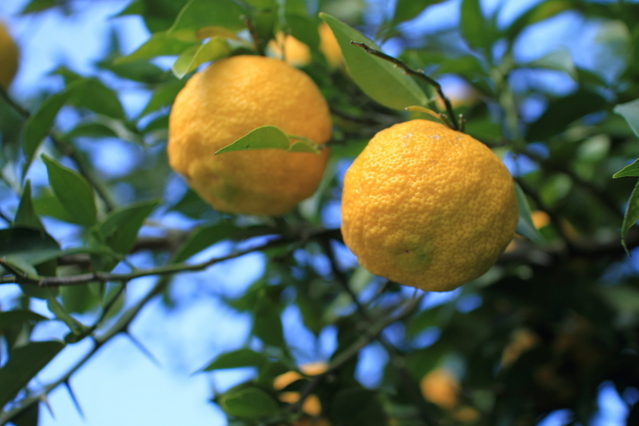 Less well known in the west than its close relative yuzu, kabosu is another citrus powerhouse that’s particularly popular in Oita Prefecture. With a sour flavour and distinctive aroma, its juice is sometimes used in place of vinegar, or as a sharp dipping sauce for fresh sashimi. Many Japanese consider kabosu quite a delicacy, as it can be expensive to source outside of Oita Prefecture and when not in season. Just another reason we’re delighted to be stocking it right here in London for you foodies to get experimenting with. The smallest of our new fruit family at Japan Centre, that doesn’t mean that sudachi doesn’t still pack a mighty citrus punch, and its arguably the zestiest of the lot. The majority of Japan’s sudachi yield comes from Tokushima Prefecture on the island of Shikoku, where its juice is used to flavour everything from ice cream to alcoholic beverages. 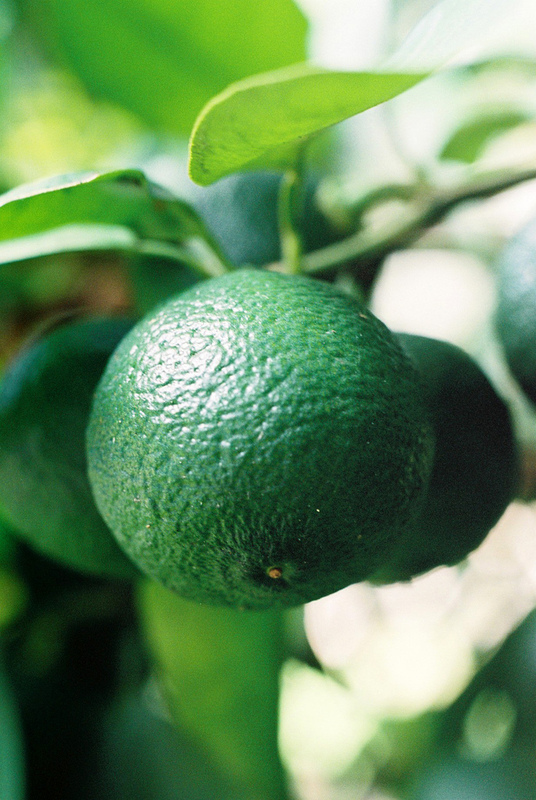 As with yuzu and kabosu, sudachi boasts high levels of Vitamin C and can be used to bring zesty flavour to all sorts of sweet and savoury dishes. We suggest serving hot pot dishes with an accompanying slice of sudachi which you can then add to suit your taste. 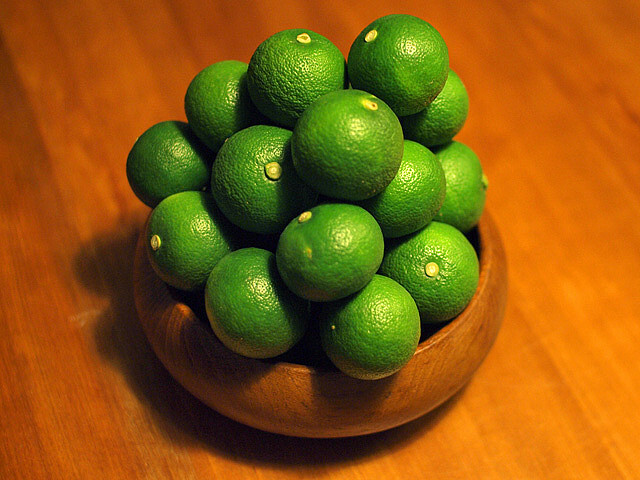 Remember – these fresh fruits may look beautiful, but don’t be tempted to whip off that skin and take a bite as they’re much too sour for that. Instead, experiment with the zest and juice in your cooking and baking – a little goes a long way. Find them in store now. 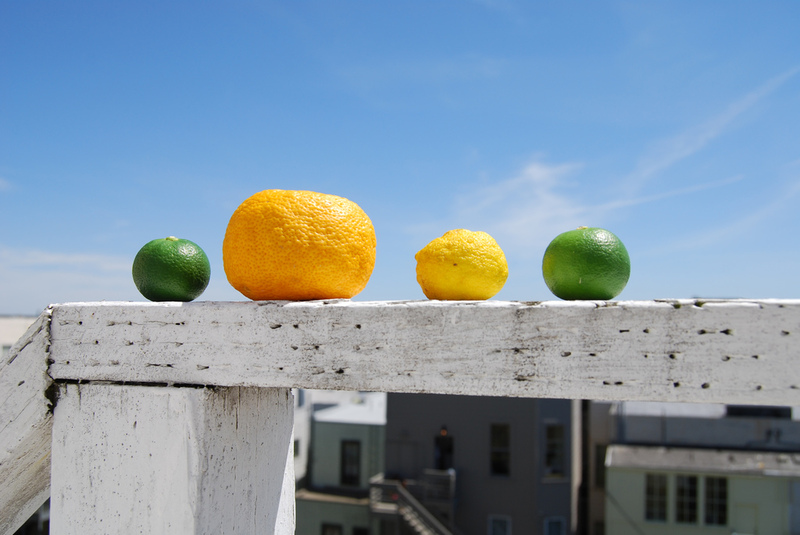 Posted in Stores and tagged citrus, kabosu, sudachi, sudachi & kabosu, yuzu. Bookmark the permalink.